Welcome to the River Oaks Police Department web site. My name is Christopher Spieldenner. I have been a police officer since 1990. 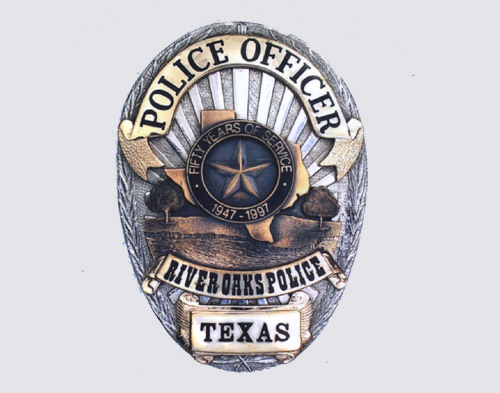 I have been with the River Oaks Police Department since 1995. I was promoted to the rank of Patrol Sergeant in 1997 and then to Detective Sergeant in 2002. I worked as a Detective Sergeant until 2012 when I was promoted to Deputy Chief of Police under Chief Avin Carter. I held that position until May of 2017 when I was promoted to Chief of Police after Carter's retirement. I live in the City of River Oaks and I have a vested interest in this community. I feel that it is an honor to wear the badge of this police department and that as officers we provide a service to our citizens. I believe that if you treat people with dignity and respect even in the worst of times, people will recognize that you simply have a job to do. I look forward to serving as your Chief of Police and will do my best to insure that the professionalism and integrity of this office and of this department continues to increase under my watch. Please send complaints and crime tips to . . .